I always find the first morning the hardest, the body adjusting to the heavy pack, trying to accommodate its new companion with every stride. 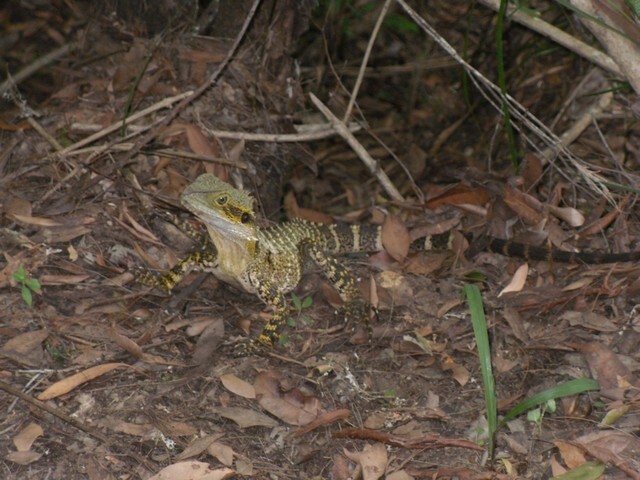 I chose the Sunshine Coast Hinterland Great Walk, because I had little choice! 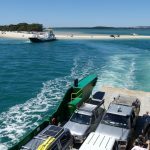 My preferred option of the Fraser Island Great Walk, along with all the other great walks in SE Qld and many national parks, were partly closed. 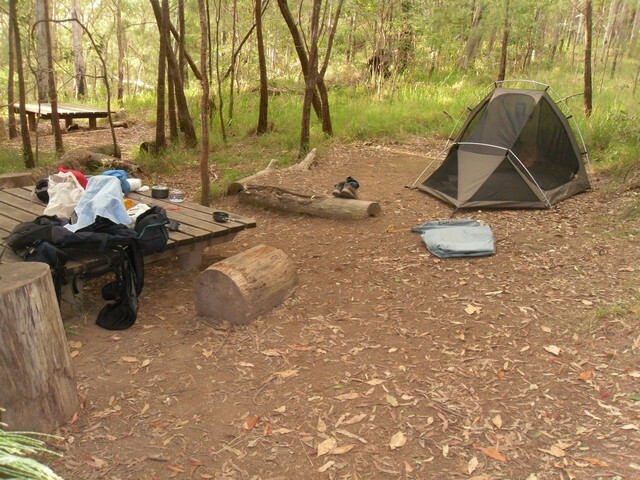 Still recovering from the damage inflicted from a remnant cyclone on Australia Day weekend. 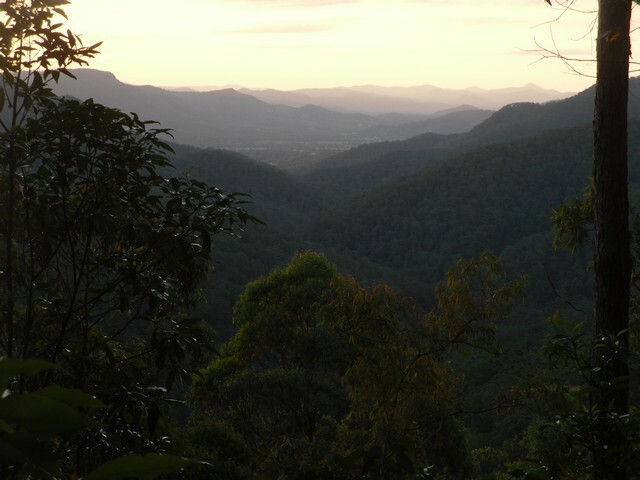 The commencement of the Sunshine Coast Hinterland Great Walk – from Lake Baroon – plunges immediately into the surrounding rainforest of Kondalilla National Park. 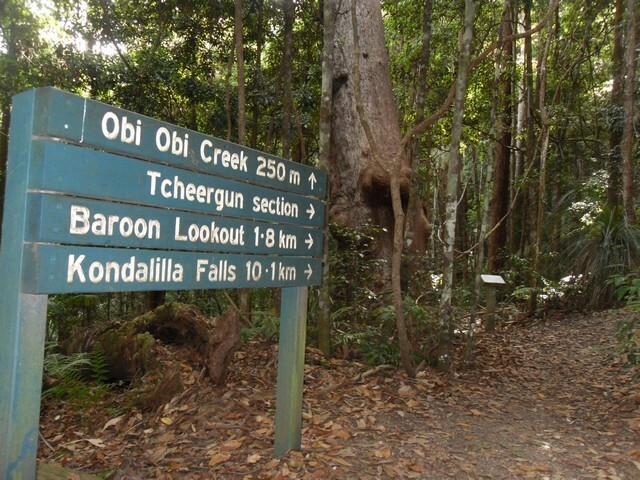 A steady climb to Baroon lookout is rewarded with spectacular views of Baroon Dam and Obi Obi creek as it weaves it’s path through the deep valley below. 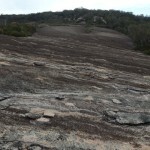 From the lookout, the trail descends steeply via numerous switchbacks to the valley below. 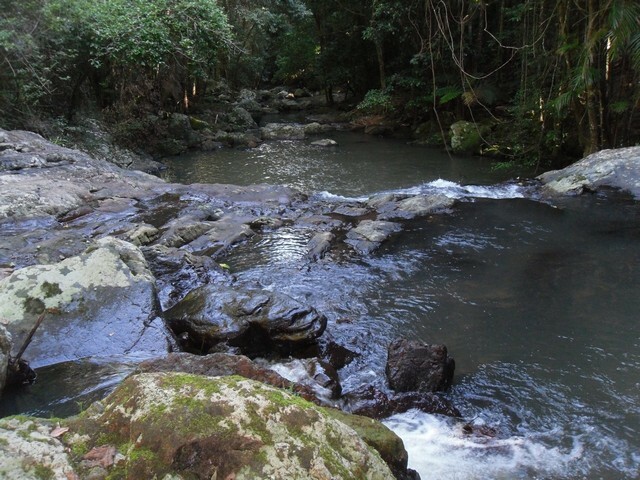 Continuing on to Kondalilla Falls through rainforest alongside Obi Obi and Skene creeks, the sound of running water providing a consistent background melody and offering numerous opportunities to rock hop along the water’s edge. 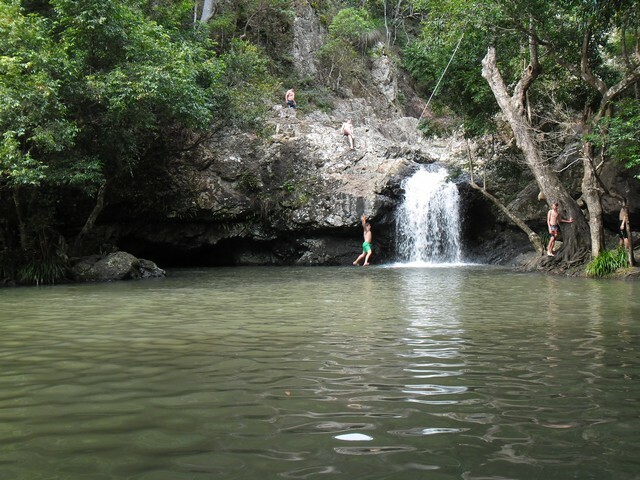 The Kondalilla Falls and rockpools offer the perfect opportunity to relax and swim. A popular destination – evident by the saturday crowds – but would no doubt be quieter during the week. The serenity and scenery of the walk thus far is now contrasted with a tedious protracted walk along busy roads – other than an opportunity to inspect hinterland real estate, quite disappointing. 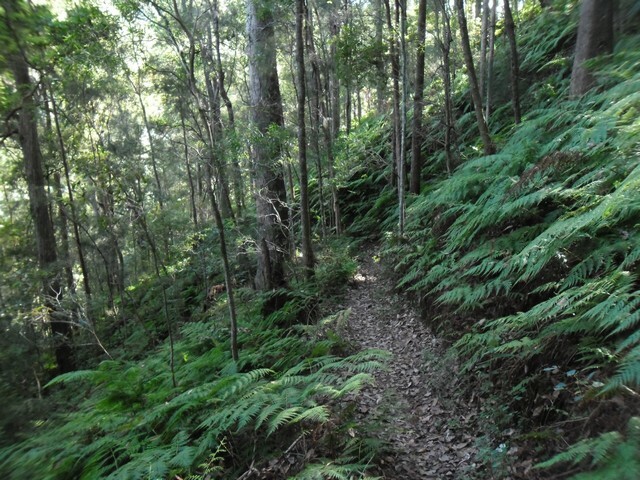 Finally the trail re-enters the National Park, before a short walk along firetrails to Flaxton Walkers Camp. From Flaxton Walkers Camp, the trail descends all the way to the valley floor. Although I’m surrounded by forest, the sound of bellowing cattle is a reminder of my proximity to civilisation. The valley floor is where you find Baxter Creek and it’s namesake waterfall. 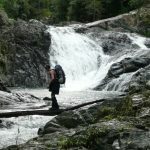 I spend over an hour admiring the falls and exploring the creek – one of my favourite spots on the Sunshine Coast Hinterland Great Walk. With the map indicating a long steep climb out of the valley, I choose not to swim in the serenity of Baxter Falls. 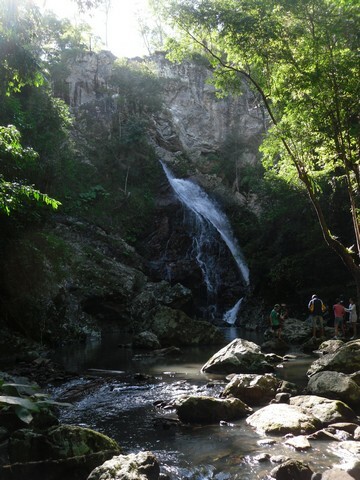 Rather I opt to reward myself at the summit with a swim at Mapleton Falls. Another long tedious walk alongside an asphalt road in the midday sun immediately precedes Mapleton Falls, however my thoughts are consumed with the cool swim that awaits. 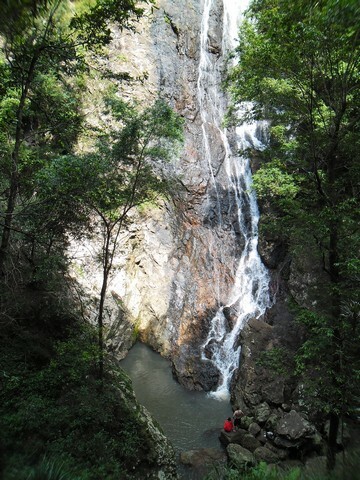 Mapleton Falls offers a top down view of its sheer waterfall and a lovely picnic area – but nowhere to swim! I eat lunch with my sweaty shirt for company, lamenting my poor judgement. 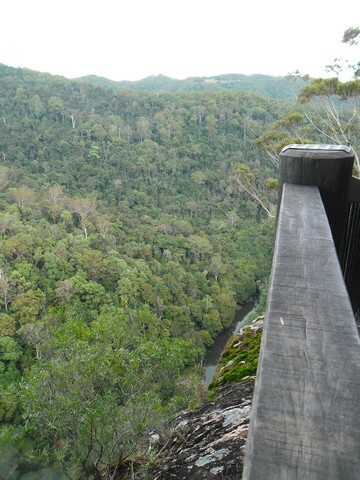 From Mapleton Falls National Park, the trail enters Mapleton National Park and the peaceful rainforest within. 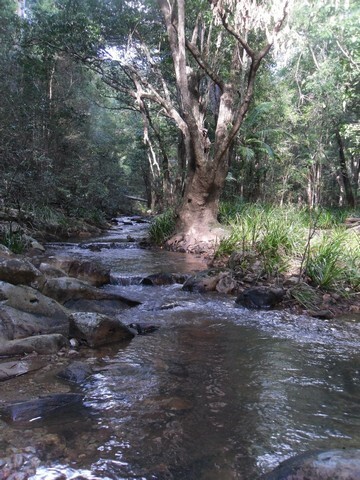 Winding its way through the catchment area of Gheerulla Creek, before running adjacent to the same creek which will dominate the following day’s walk. The path eventually joins a fire trail close to Mapleton Forest Drive and my exit point in 2 days time. 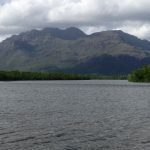 Today however I continue along the fire trail in the opposite direction to Ubajee Walkers Camp. The Ubajee Walkers Camp offers an excellent lookout, peering directly down the valley through which Gheerulla Creek carves it course – an opportunity to preview the next days route. As I descend from Ubajee Walkers Camp to Gheerulla Falls, I find myself distracted with the thought that I will need to climb back up this same ridge tomorrow to my designated exit point. I force my thoughts back to the present, the fauna and flora that surrounds and the refreshing morning swim that awaits. Leaving the falls with the body refreshed and clean-er, I hit the trail with renewed vigour. For the next few kilometres the trail remains in close vicinity to Gheerulla Creek, the sound of running water providing natures alternative to the Ipod. As the saying goes – all good things come to an end. 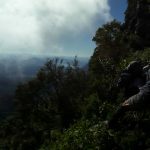 In this instance, the imposing and arduous climb up Gheerulla Bluff – the longest ascent on the Sunshine Coast Hinterland Great Walk. Reaching the top over an hour later, I soak up the views from Thilba Thalba viewpoint. Unfortunately with daylight expiring in less than an hour, I’m forced to move on to nearby Thilba Thalba Walkers Camp. 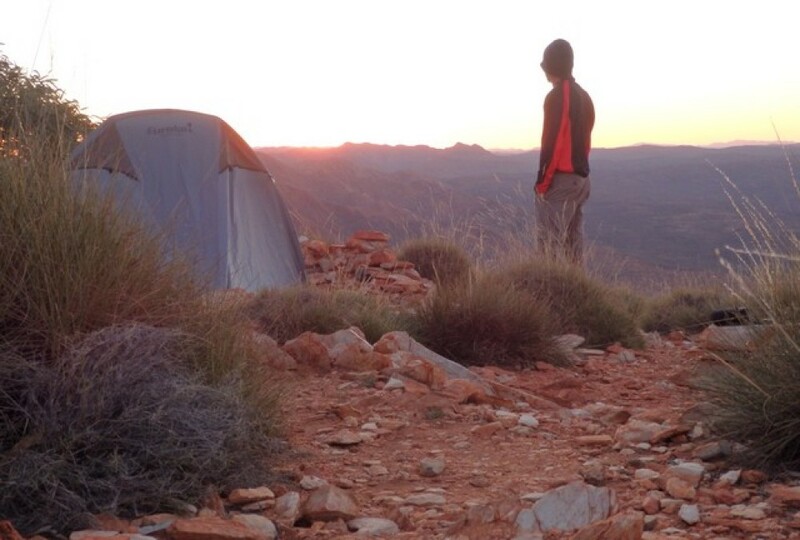 This campsite perched high on the escarpment, also comes complete with its own lookout, although the vista is not as extensive as Thilba Thalba viewpoint. A light shower during the night and intermittent cloud in the early morning offer hope of some respite from the previous three days heat. The day ahead is a 16 klm walk back to Mapleton, half of which – from Gheerulla Falls – is on trail already trod and a bitumen road. A lookout punctuates the morning walk, offering one last superb view of the valley, before descending to Gheerulla Creek. By downloading the PDF map from the website, coupled with the frequent and accurate signposts, one can easily navigate the walk. 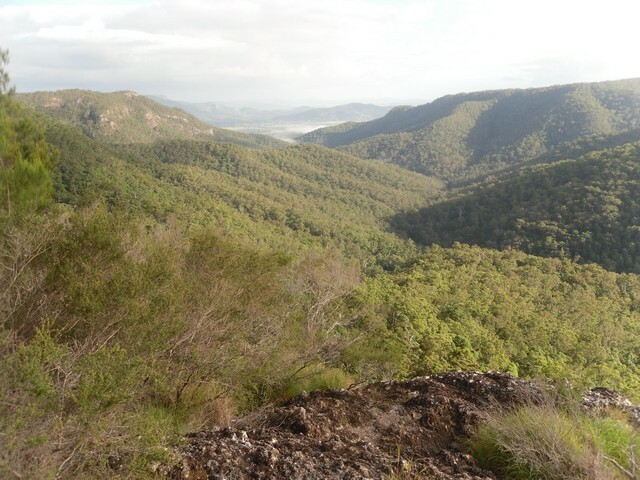 The Sunshine Coast Hinterland Great Walk offers a wonderful insight into the beautiful hinterland wilderness and can also be walked in sections from less than an hour, to most of the day. A very good walk, unfortunately with the long tedious sections along connecting roads, is it a ‘great’ walk? 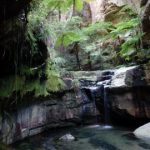 This entry was posted in Multi day hikes in Australia and New Zealand and tagged Baxter falls, best bushwalks in queensland, best bushwalks in sunshine coast, best walks in queensland, Gheerulla creek, Gheerulla Falls, Hiking in SE Qld, Kondaliila Falls, Mapleton National Park, Obi Obi creek, Queensland Great Walks, sunshine coast great walk, Sunshine Coast Hinterland Great Walk by danthewanderer. Bookmark the permalink. Dan, I have not personally met you yet, however you have met my husband Wane at your Dad’s place recently. I am enjoying your website, and intend to keep reading about all your adventures, and surveying all the great photos and video’s you have displayed on the web site. Keep up the good work, while your body is young and strong. Thanks Val, appreciate the feedback. Hopefully meet you next time I up that way.